Clinique's classic perfume Aromatics Elixir is celebrating it's 40th anniversary, to celebrate this tribute Clinique have commissioned a limited-edition tribute to its classic creation. Meet Aromatics Elixir Perfumer's Reserve, the perfume is housed in a very chic vintage looking amber-tinted brown glass flacon. What do you think of the striking bottle? I LOVE it and think this will be very popular and sell out fast! • Rose, jasmine, myrrh and patchouli notes are cleaner, lighter, with a contemporary transparency. 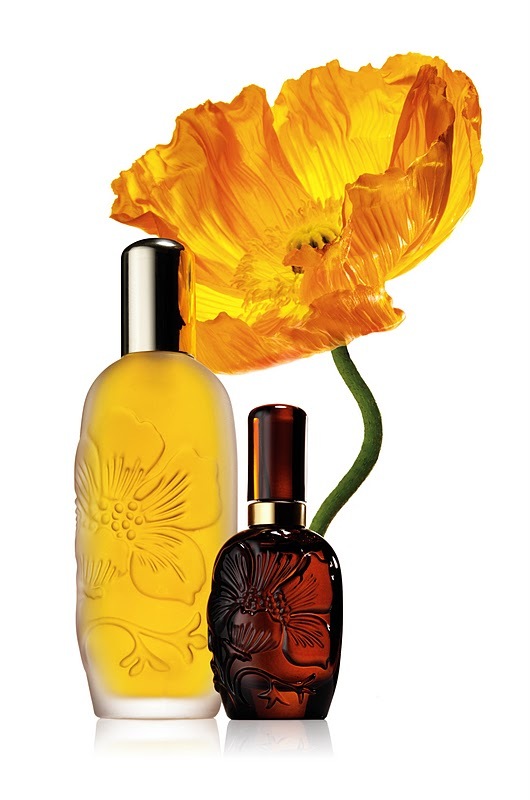 • The addition of orange flower absolute and peach lends a creamy luminosity. • The fragrance’s intoxicating sillage becomes tender, subdued - a whisper rather than a shout. 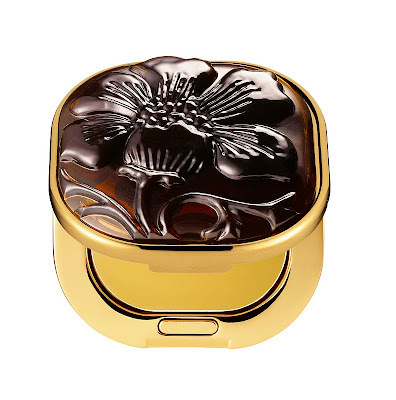 The new scent will also appear in a solid guise within an elegant amber locket- emblazoned with the flower symbol which can be worn as a pendant. I have to say if I had to pick I would pick this, it reminds me of an old fashioned vintage locket which is so elegant and feminine. Devotee's of the original Aromatics Elixir will be able to enjoy a commemorative 40th anniversary flacon which is exquisitely adorned with the beautiful bloom. Although rarely advertised, for four decades AROMATICS ELIXIR has been a cult fragrance: a secret shared by the world’s most fascinating women. Self-selecting sophisticates, they recognise in it the scent of their panache. Over the past decade alone, 19.7 million flacons have been purchased worldwide, with over four of its fragrant incarnations being sold every minute. The limited edition collection will hit selected counters on October 7th so be sure to stop by your local counter to see if they have this stunning collection. Will you be visiting your counter? Thanks for the heads-up! This is my mum's favorite perfume and she always asks me to buy it for her, as she doesn't have any Clinique counter near her village! As she is coming to visit next week, this will be great to give the LE bottle!